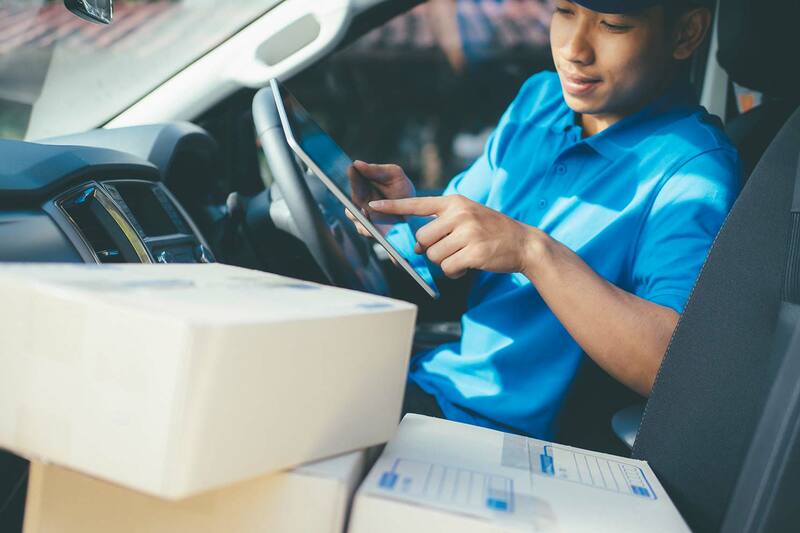 If you are just getting started with courier software or are looking to change for the first time in a long time, the landscape may be intimidating. With so many options that have so many differences, how do you begin? In this article, we will explore what you can expect and what you should do when getting started with courier software. Before you begin looking at different courier software solutions, you should determine why you are considering using software and what aspects of your company require the most improvement by that software. Once you have defined your company’s weaknesses, you should consider how many people at your company will be using the software and for what purpose, what aspects of your company currently work and should not change, what you expect for the future, and what type of hardware you currently have available. These considerations will affect whether you should seek a custom-developed solution, a basic package, or something in between. Additionally, you will be able to outline your budget better and more effectively assess what solution may be right for you. As mentioned, your budget will be affected by what your company needs. If your needs are more elaborate, you may require a larger budget or a more specific solution; however, more simple needs can generally be covered by a small monthly budget. If you foresee the need to change or upgrade your current hardware, this will also need to be factored into your initial investment. Another important consideration regarding your budget will be your ability to grow with your chosen software solution. Consider the different ways you expect to expand your business in the future and see if your software will be able to accommodate your budgetary needs and provide the features necessary to meet these expectations. Before you commit to a delivery management solution, you will want to invest some time into researching the various options available to you and comparing the features that these options offer. Consider which areas of your business need the most improvement to assess which features align best with your needs. Many solutions offer trial versions, which you can download for free to better determine whether or not a software is right for you. For more information about what to look for during your evaluation, refer to 5 Questions to Ask Yourself When Evaluating Courier Software and 5 More Questions to Ask Yourself When Evaluating Courier Software. Once you have researched a few solutions, you will likely have discovered one that fits your needs. Before you can effectively include your new software in your day-to-day business processes, you will need to set up the solution, transition from your current system, and train your staff. This process will require time and effort, so determine how much of your own and your employees time you can reasonably dedicate to the transition. Find out if your courier software provider offers assistance with this transition and if their technical support staff is capable and helpful enough to guide you through this process in the time that you need. OnTime 360 is successfully used as courier management software by companies in more than 150 countries. OnTime has been designed according to the global demand and formally supports nearly 300 different regions spanning across six continents. OnTime is designed to work internationally. The integrated Unicode support allows the users to input their data in the language of their choice. Although the OnTime interface is currently only available in U.S. English, the Unicode compliance enables you to enter information in any language, such as Arabic, Greek, and Latin-based scripts. From the names of the customers to important memos – all the entered information will be displayed in the language you preferred. When using other courier management programs available in the market, users often complain that consumers receive reports that display a different time zone than their local time. This can be a significant problem. However, with OnTime, there’s no need to worry about time zones. 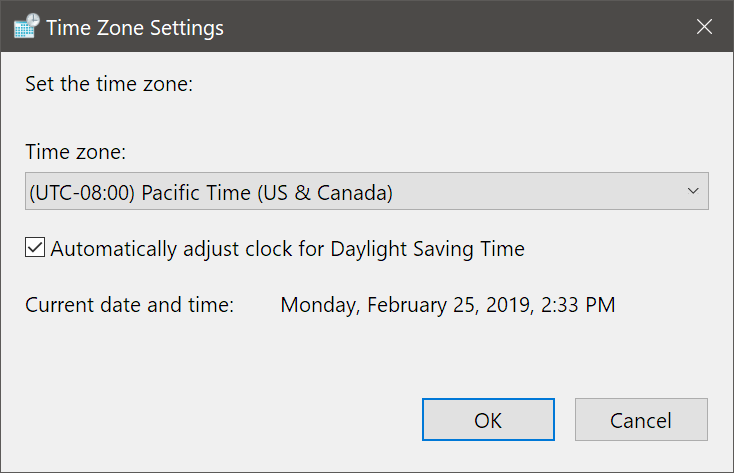 OnTime detects and uses the time zone and regional settings configured within your PC’s operating system, Microsoft Windows. OnTime 360 will automatically adjust the date and time settings based on the user’s local setting regardless of their time zone. If you entered information at 12:00 PM Eastern Time and sent it to your client who lives in a Pacific Time zone, the system will automatically display the time in the recipient’s time zone as 9:00 AM. This enhances the customer’s experience and prevents any misunderstandings that occur due to living in different time zones. OnTime can display currencies in nearly 300 supported regions from around the world. This includes the Dollar, Euro, Yen, Pound, and Franc to name a few. There are many other regional format settings that OnTime is designed to understand and use. The formatting of numbers will be localized for the user so that commas, decimal points, and spacing is consistent and familiar. Calendars from different regions are also supported, such as Gregorian, Hebrew, and Hijri. With OnTime 360 international support, you can be assured that the software will work for you, regardless of your location. Implementing the system to your existing software is easy and fast. Try it now and see how this works for you and your company. OnTime is a professional grade courier software solution. It is equipped with various applications that offer the necessary features to each part of your business. The delivery management software solution provided by OnTime 360 will help keep your company on schedule – anytime, anywhere. 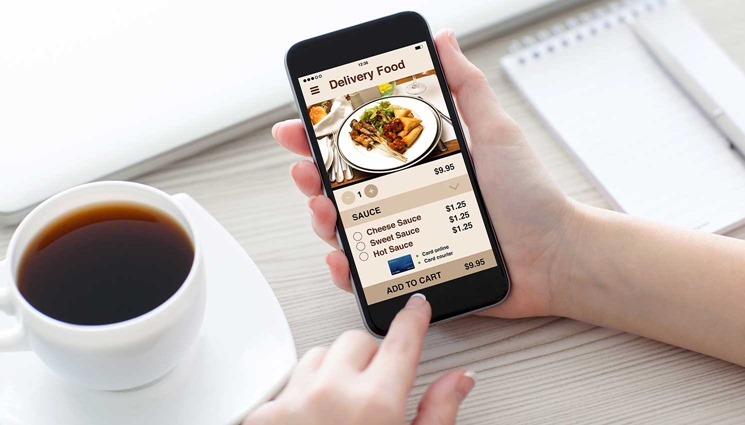 Restaurants that introduce a fast and effective delivery option experience a notable increase in their profit, reputation, and customer base. With OnTime 360, your delivery option can be brought to the next level by using our relevant features. Food delivery services using OnTime as a platform can capitalize on the ability to own and control the technology stack. This means control of your brand and user experience, instead of sharing that control with technology providers such as Grubhub and Uber Eats. Within OnTime, you can customize a variety of features to better serve your customers and complete your deliveries faster and more accurately. Notes can be added to customers to give drivers special instructions. Notifications can be created to inform your customers and staff of any changes or delays in orders. Zone based pricing can be used to manage different rates for distant areas of town and price sets can be used to include special pricing for certain customers, such as business accounts or hotels. Customizing your OnTime account is simple and can be done at any time. Food orders need to be placed quickly and accurately to ensure that your customers receive their meals on time. OnTime Dispatch contains a variety of options that will streamline your order entry and dispatching process. Driver assignments will allow for multiple orders to be assigned for delivery on the same trip. Tracking options will inform you and your employees of any late orders. Communicate with your drivers on-the-go directly via messaging options. Special instructions can be added to orders, letting your kitchen staff and drivers know exactly what a customer needs and if a customer calls back, orders can be updated or changed in OnTime Dispatch by just a few keystrokes. In today’s fast-paced, mobile world, customers often prefer to have the option to order online. Enterprise and higher subscribers receive access to the OnTime Customer Web Portal, which empowers your customers to serve themselves via online order entry and other features. Your Customer Web Portal can be linked to your already existing website, allowing your customers to place and track orders from their computer or phone. The OnTime API allows you to take this further by introducing the ability to develop your own custom web or mobile application. OnTime 360 tracks your driver activity and can be used to keep your drivers in contact with your other employees. Driver fees, tips, amounts owed for orders, and delivery times can all be tracked to assess performance by your drivers. Other important information, such as insurance and license dates can be kept up-to-date under driver information. Drivers can also use OnTime Mobile to update order status and send messages. Your customer database is expansive and can be added to automatically during order entry. Customer information, such as email, phone number, and address will be collected and stored within this database. Information provided by OnTime 360’s reports can be used in conjunction with customer information to respond to customer complaints and execute advertising campaigns, such as emailing special offers to certain customers. 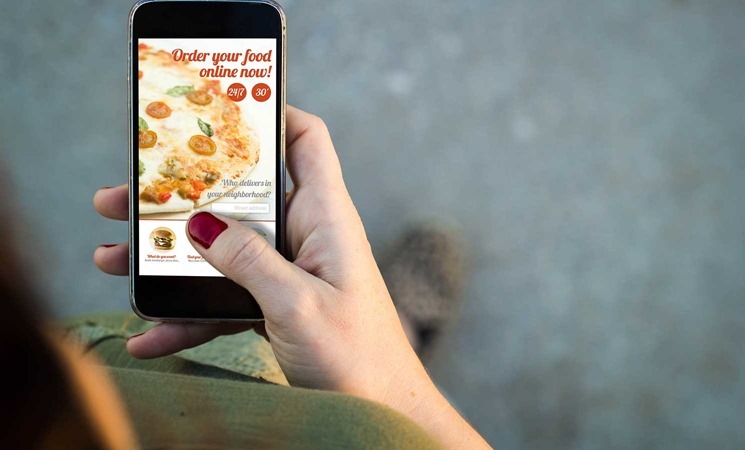 Contact us for more information on how we’ve helped other companies successfully adapt OnTime for the food delivery business. Professional and capable reporting features continue to be a headliner feature of OnTime. Users love the speed, capability, and flexibility of OnTime’s report authoring tools. For years users have enjoyed using the built-in report designer to modify the appearance and content of their reports. We’ve worked hard to ensure that report modification is something that can be done by the average user, not just experts trained in report authoring. Over 520 new fields: There has been a dramatic increase in the number of fields available within the Field List of the report designer. Previously, many reports offered an average of 30 fields. That number has increased to 520+ fields, a staggering 1,633% increase! This significantly increases the flexibility of the report designer by giving users access to the fields they need. Field List consistency: With the drastic increase in the number of available fields comes another welcome change. These fields are consistent between reports. Previously, a field may be available in one report, but not on another. In other cases, a field could be named differently between reports. To avoid confusion, fields are now equally available across all reports, using the same consistent naming. Same data structure as API and SDK: Programmers that use the OnTime API or SDK appreciate that they are structured the same. We’ve brought this same consistency to the Field List within the report designer. All fields within reports share the same naming and structure that is found in the API and SDK. This means that once the structure is learned, that same knowledge can be equally applied to other important areas of OnTime. High DPI support: Users with high display scaling settings will now enjoy a beautifully crisp user interface. Icons have been remastered, and controls will no longer appear blurry. New report designer: A new streamlined report designer surfaces tools and options intelligent as you need them. For example, tabs may appear with additional features based on the item selected within the report. Confusing wizards and functions have been simplified. The reliability of the designer has been dramatically improved, including improved undo/redo support. Powerful new use of Expressions: Although expressions have been a part of calculated fields in the past, expressions play a dominant new role in the new report designer. 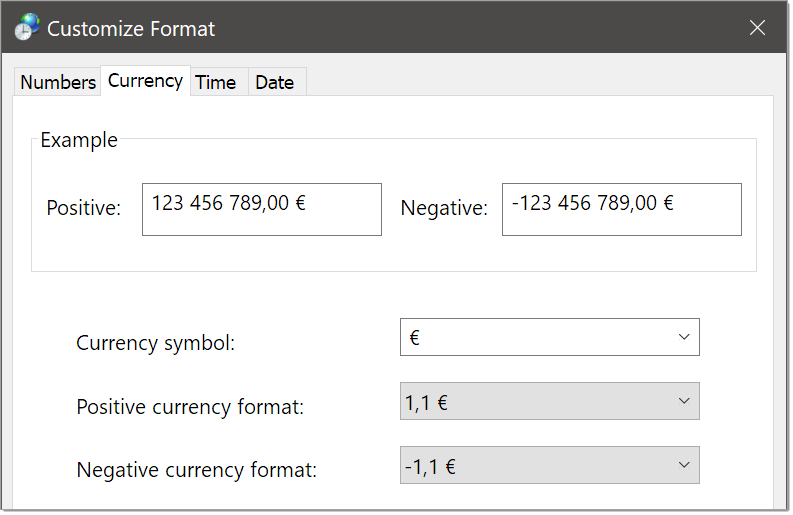 Not only can expressions still be used within a calculated field, but they can also be assigned as the value to many properties across a report. Doing this in the past required complex and problematic scripting. Using expressions for this purposes dramatically simplifies the process. For example, it becomes trivial to set the color of the due date on an invoice to be red if the date is past. Grouping and sorting: Easily set the grouping and sorting of data displayed in a report. Nested sorting is supported and may use any of the 520+ available fields. Preview mode and sample data: Previously, to view modifications made to a report, the designer had to be closed, and a new preview window opened. Now a new Preview tab appears in the upper right corner of the report designer. Switching to Preview mode will display the report with all current modifications, even if they are not yet saved. Switch back to the Designer mode to continue modifications. To make Preview mode even better, sample data is used to ensure that all fields display data making it easier to ensure that layout and formatting are correct. We are confident that users will appreciate the robustness and consistency made possible by these new reporting features. All users of OnTime Professional or higher automatically get these new changes at no additional charge. These enhancements are part of our ongoing commitment to making OnTime better for all of our customers. We have always felt that it is essential to allow users of OnTime to make the software their own. We build flexibility into the system so that it can grow with the needs of an organization. An area where this type of flexibility is increasingly important for delivery companies is within system integration. Most software systems today allow for some degree of integration, meaning that they can communicate with other software by importing and exporting data. We receive numerous requests asking if OnTime can integrate with a variety of software systems. We love this question because this is an area where OnTime really shines! Not only do we have built-in support for many systems, but we also provide a robust API and SDK to make almost any integration possible. Over 6.4 million transactions per month are processed through the OnTime API, representing a significant potential for delivery companies making use of it. Where accuracy matters: Accounting systems require accurate and complete data. Automate the movement of data directly from OnTime to your accounting or bookkeeping system. This eliminates mistakes introduced by manual or human data entry. Where speed and volume matter: Process bulk orders, or ASNs, quickly and accurately by connecting OnTime with your shipper’s software system. Automatically transferring thousands of orders within seconds, allowing your team to start working quickly. Where marketing matters: Identify a popular line-of-business software system used in your target market. Using the OnTime API or SDK, integrate with that software and then advertise your ability to work seamlessly with any business using that software. This can lead to significant growth in sales with a low investment. Where efficiency matters: Saving time is always a benefit to a company. Doing so can free up personnel to perform more valuable tasks. Automate processes such as barcode scanning at hubs or providing updates to shippers. Where brand image matter: Project a strong technical competence. Customers will see that you are prepared and able to accommodate their technology needs. Move from being viewed as a value brand to a professionally competent brand. The OnTime API and SDK each provide over 91 functions and 517 properties, offering an unparalleled developer experience. The API can be accessed via REST or SOAP endpoints and works with all major programming environments. The SDK makes it possible for a programmer to develop a plug-in, or extension, that can easily extend the functionality of the OnTime desktop applications. These platforms were constructed meticulously over a two-year period to ensure that programmers had the tools necessary to complete their projects. With over 5,000 pages of documentation, programmers have all the tools they need to get their job done quickly. In fact, we often see programmers who are new to the OnTime API able to finish their project within a few hours to a day. Hesitation to start integration projects is understandable. We know that you are not in the software business, but instead, want to focus on your business. We have a suggestion: Try outsourcing your integration idea to a freelance programmer. The team at Vesigo has worked hard to create an API and SDK that is easy to understand and use by other programmers. As a result, there’s no need to hire a specialist. Tens of millions of programmers across the globe already know how to use an API like the one provided by OnTime. Better yet, many of these programmers work as freelancers, which tends to lower costs. There are many websites where you can go to get bids on your projects, including freelancer.com, upwork.com, and fivver.com. These programmers tend to be good at taking your idea and figuring out how to create the finished product. The cost for such integration work may be far less than you might think. This is primarily because the OnTime API and SDK do a lot to simplify the job of the programmer. This can result in the programmer finishing a project within hours instead of the weeks involved with a traditional approach. For example, we’ve repeatedly seen examples of basic integrations and utilities developed for less than $200 USD. The cost to savings ratio can be very high with the OnTime API and SDK. We would love to discuss your integration ideas using the OnTime API and SDK. Feel free to give us a call to chat about your project. Where possible, we can offer guidance to help you take advantage of this great feature within OnTime. As your business grows, how can you efficiently fulfill demands and meet time constraints? OnTime provides the streamlined automation you need. Each customer has unique needs, and OnTime makes it easy to set options, such as collection and delivery points, notifications, and pricing. For example, order entry requirements may be set either across the entire system or for each individual customer. Following initial customer setup, their information autofills on future order entries. If the information in a required field is not completed an alert is issued. When the customer’s profile loads, all unique requirements are automatically populated. Your dispatchers are quickly informed of the customer’s specific needs, enabling them to offer optimal customer service. User-created hotkeys and shortcuts allow a typical order to be dispatched in about 15 seconds. Whether a customer places an order by telephone or through the OnTime Customer Web Portal, service levels and prices should be presented consistently, without difference. OnTime’s pricing structures are capable, flexible and reliable. A nearly unlimited number of pricing configurations are available, starting with flat rate, zone to zone, and distance-based pricing. When it is time to bill, dependable invoicing tools automatically collect outstanding orders and generate invoices from the database. This significantly reduces the time lost to human error and manual data entry, saving your business time and money. 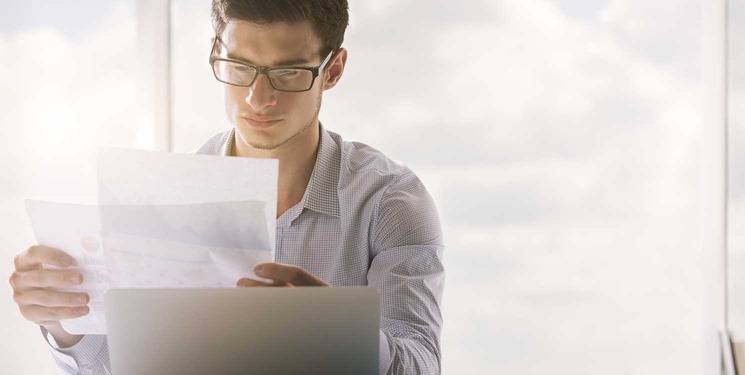 Invoices may be generated manually or using the billing cycle tools included in OnTime. The OnTime system seamlessly interfaces with QuickBooks Desktop Pro and QuickBooks Online, providing the ability to easily transfer your customers, invoices, and received payments. OnTime tracks transferred invoices and issues an alert if an invoice is transferred more than once. Once a payment is received in OnTime it may be transferred to QuickBooks. All of your information now corresponds/is complete. In our next post, we will highlight how automation within routes and notifications saves your business precious time and money. We are happy to announce that the new OnTime Mobile apps for iOS and Android support push notifications. Push notifications are a faster and more reliable method of transmission than notifications sent via email and SMS text message. This helps provide the assurance your dispatchers need. Push notifications are sent directly to the driver’s device. You can be confident that your drivers receive all notifications they are issued with the most up-to-date information. 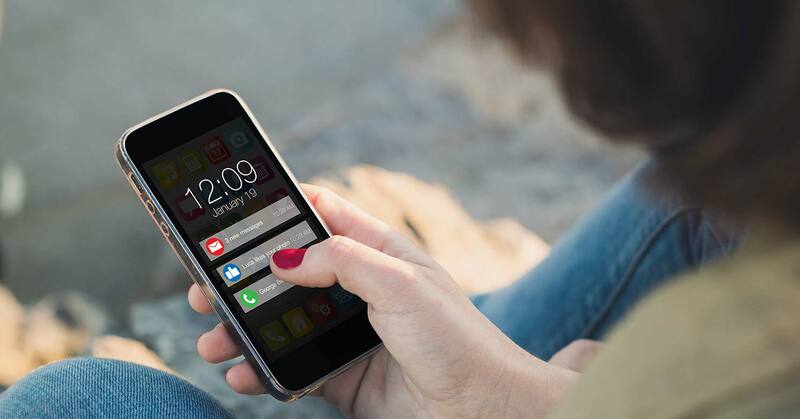 Whereas receiving a traditional SMS text message requires a connection to your mobile cell provider; push notifications can be received across any internet connection. If OnTime Mobile has access to any internet connection, such as mobile data service or WiFi, push notifications can be received. If your driver's phone is turned off or set to airplane mode, push notifications are staged and delivered the next time the phone is powered on. Additionally, push notifications allow more customization, with up to 1,500 characters permitted. SMS messages are typically limited to around 160 characters. Instead of forcing generic notifications upon you, OnTime's Workflow Notification Designer is a powerful tool for customizing notifications. Push notifications are built and customized within this tool, allowing a wide array of options. You customize push notifications to behave in the way you want, containing the information you want. We are constantly looking for ways to improve communication between your workforce. The availability of push notifications within OnTime Mobile is another example of OnTime's commitment to your success. Our second look at the features of the new OnTime Mobile app will focus on the processing of orders. We are confident that these features will save you time and money. ATTACH PHOTOS: Save photos with an order at collection, delivery, or any stage in between. Proof of documentation is as important as it has ever been. Drivers can now include a picture of the person or location delivered to, damage upon receipt of the package, or any damage incurred in-transit. These photos are attached to the order, allowing the office to automatically see all pertinent information, no longer sorting through hundreds of photos to find the correct ones to match each order. COLLECT SIGNATURES: Capture signatures using the touchscreen on your device. EDIT ORDERS: Make adjustments to an order while on the go, without contacting dispatch. For example, the shipper may not have known the size and weight of the package being delivered. The driver can measure and enter this information into the app, making adjustments on the go, streamlining the future billing process. SELF DISPATCH: Access the unassigned order list to assign an order to yourself, or transfer to another driver. This feature is especially beneficial to a small company with limited staff. A driver can now play the role of dispatcher, as needed, while on the go. Now your office can keep running, even without you there. BARCODE SCANNING: Use the camera on your device to quickly read a barcode from any label, allowing for scanning of any tracking information. Scan barcodes generated by OnTime, or use barcodes and numbers generated by another party. The app will find the corresponding order on your list and offer appropriate actions. Barcode scanning allows the driver to quickly see instructions unique to each delivery. Drivers scan the barcode and partial or complete matches are made against the following order fields: Tracking number, Reference number, Purchase order number, Incoming tracking number, and Outgoing tracking number. We believe your company will have great success using the features introduced in Parts 1 and 2 of this series. Go download yours today at the Google Play store and the Apple App Store!